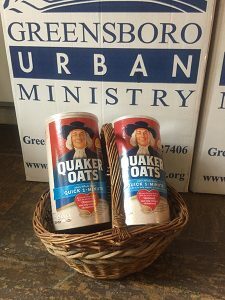 Volunteers from New Garden Friends will collect food for the Greensboro Urban Ministry food pantry on Friday, April 13. The location is Harris Teeter on Friendly Avenue, across from the Meeting House. Hours are 9 a.m. to 6 p.m. To volunteer for a two-hour shift, contact Bill McNeil, mcneilplanning@gmail.com.